Splash into geometry! 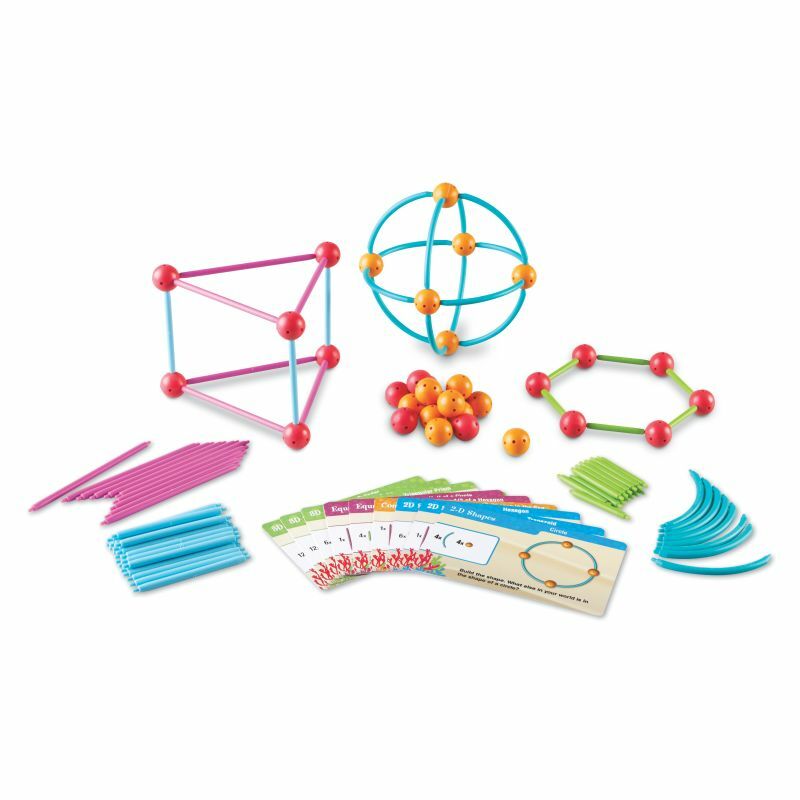 Combine sticks in 3 sizes, along with curves for making circles and cylinders, with 2 different types of connecters to build 2-D shapes. Then, combine them to make new 2-D shapes or even 3-D shapes! 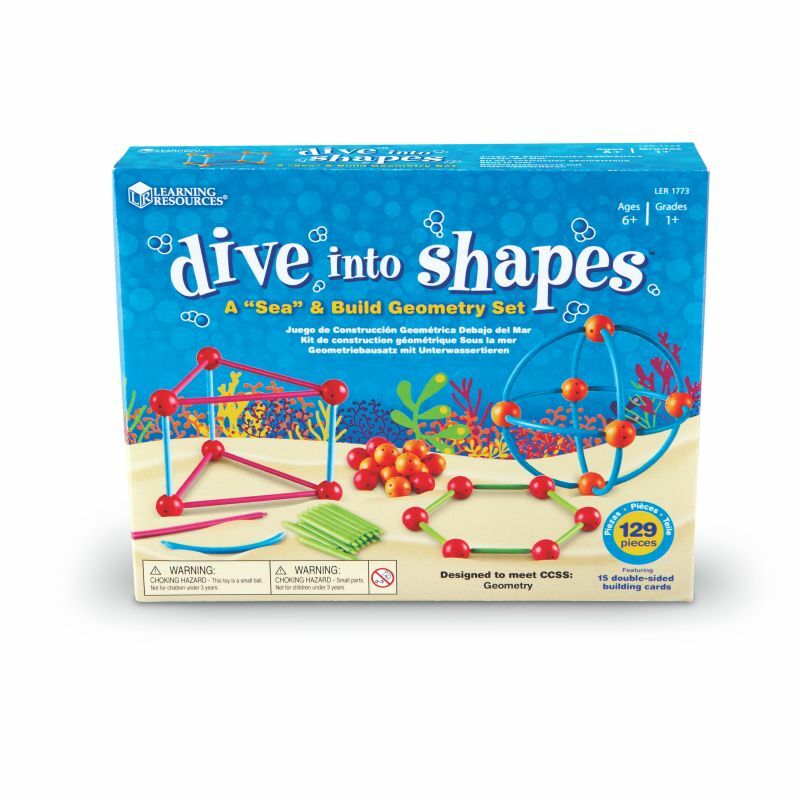 Child-friendly set features durable sticks, curves, and connectors. 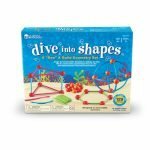 Includes 60 sticks in 3 sizes (2½”, 3¾”, 5½”), 20 curves, 34 connectors (1″ in diameter), and 15 double-sided Activity Cards (30 activities) to support the Common Core.